Though the standard combination is a chicken stew or egg roast, today I made a spicy beef curry with coconut milk. Dipping pieces of appam into the rich gravy of beef and potato; I feel like going and taking a second helping though I have already had my breakfast. Maybe I’ll have it again as an evening snack; provided there’s any left by then. 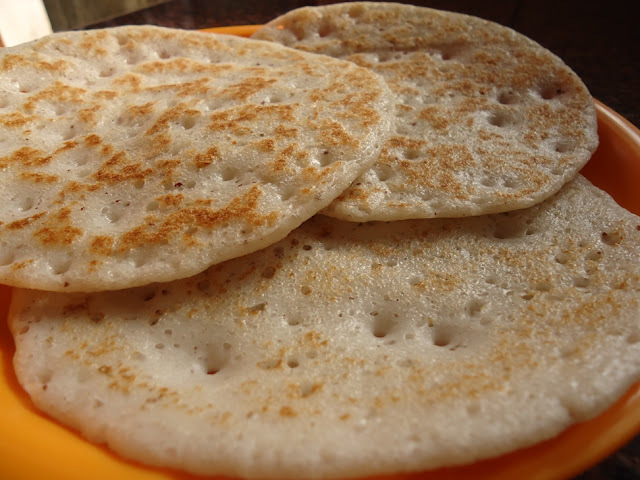 The most significant meal of the Christians of Kerala, Easter Sunday traditions are incomplete without a grand breakfast of Appam and chicken stew, signalling the end of forty days of lent. Vellayappams are round and thick whereas pal-appams have a thick centre and thin lacy edges. 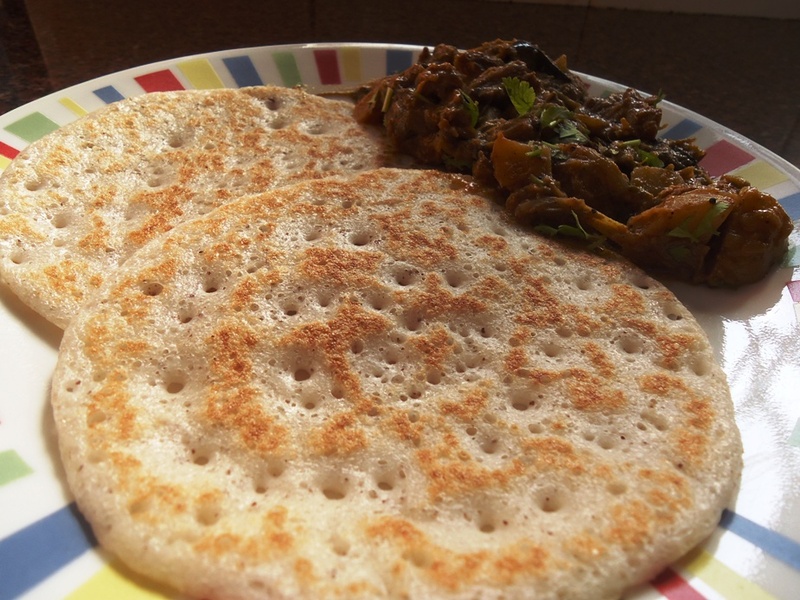 Palappam is made in appachatty while vellayappam is made on a tawa. The batters are slightly different and the end products are quite different. The garlic and cumin give an amazing aroma and flavour to vellayappam. Grind all the ingredients except baking soda and salt, to a smooth paste with 1 cup water. Mix the batter with a ladle. If the batter is too thick, loosen the batter with coconut milk, coconut water or plain water to get required pouring consistency. Batter has to be thick, put smooth enough to pour. This is thicker than palappam batter. Heat a flat Non Stick Tava and pour a ladle full of batter. Do not spread the batter with the ladle. Cover with a lid and allow it to cook on medium heat for around 2-3 minutes. Eat it nice and warm with stew or egg roast. Left-over batter can be refrigerated up to two days.